Despite a national literacy rate of nearly 91%, rural areas like Nawagattegama lack school facilities and resources. The district is considered one of the most marginalized in the country. Qualified teachers try to avoid coming to rural areas like this, so those who do teach are often not well trained. Existing preschools are not able to meet children's needs, and basic teaching and learning materials are needed in almost every school. Getting to school can be difficult for students as well. Opportunities for secondary education are severely limited. Few parents were able to complete formal education themselves, and it is often difficult for them to appreciate the value of schooling for their own children. This is especially true when financial constraints demand that more family members contribute to household income. 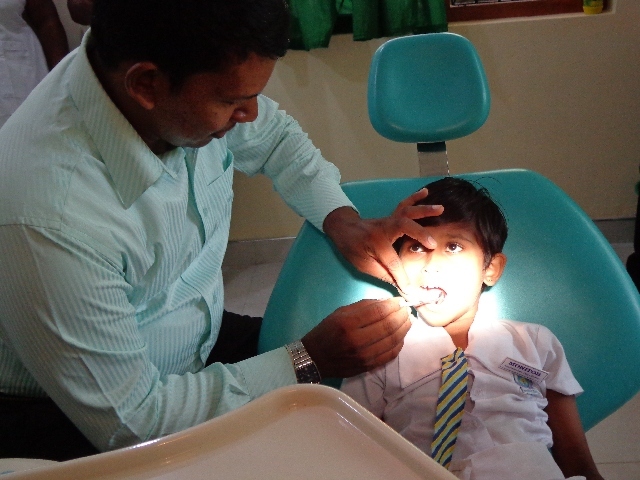 Government health care services available are insufficient to meet the needs of community members in Nawagattegama. There is only one rural hospital in the area, and it lacks necessary equipment. This means that many people must travel long distances to receive medical attention. Maternal and child health clinics are few and far between and poor nutrition is common, due to harvests that have been affected by drought. People's health in Nawagattegama has been further undermined by unsafe drinking water, which leaves children in particular prone to waterborne diseases. The community also lacks proper sanitation and hygiene practices and facilities, which increases the risk of contracting preventable illnesses. Economic Development About 96% of community members work as subsistence farmers, but they face many obstacles that prevent them from enjoying good harvests. Few have the entrepreneurial skills training they need to effectively market their products, while poorly maintained roads and transportation services make it difficult for them to get their produce to market in the first place. 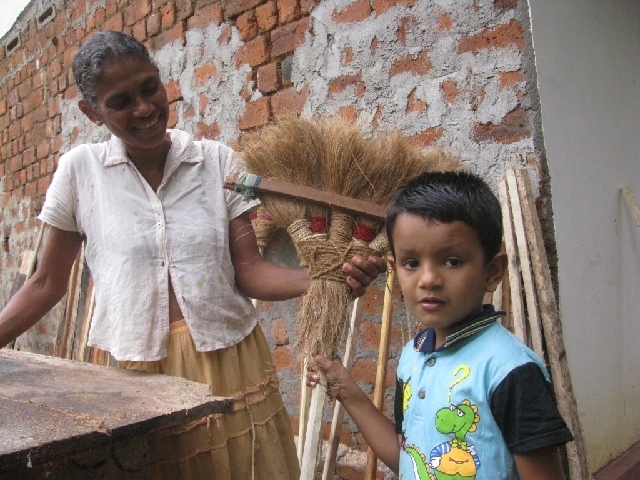 Alternative income-generating opportunities are virtually non-existent in Nawagattegama, which limits families abilities to provide for their needs. 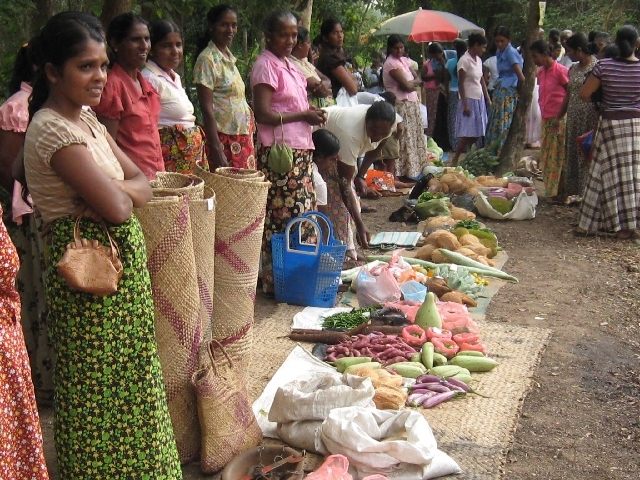 Families often do not have enough to eat, let alone a surplus of agricultural product to sell for income. The Nawagattegama community is located about 130 km from Colombo, the capital city, in Sri Lanka's “dry zone. The area is characterized by frequent drought. Average annual temperatures range from 28℃ to 34℃. These dry conditions make life very difficult for community members, nearly all of whom live off the land and grow crops that rely on rainfall. Some farmers have access to irrigation for their crops but many do not. Heavy resettlements in this area about two decades ago boosted the population significantly, and there is not enough water to meet basic family and farming needs, even for those with access to irrigation. Almost 90% of families lack a safe water supply and only 27% have latrines. This means that children's health is at risk from waterborne and hygiene-related diseases, such as diarrhea.